Has productivity changed as technology has evolved, from the utility of iPhones to the connectedness of Facebook? 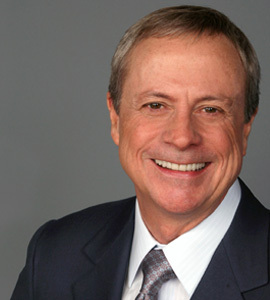 We continue our examination of the business book Getting Things Done with an interview of author David Allen. What was the impetus for you to write Getting Things Done? I realized that while it took me 25 years to figure out what I figured out, doing a lot of that work as a consultant, by that point I figured out that nobody else had quite figured out what I had. I never had enough time to give everybody all the information and implication of it. So I said, “Gee, I better write the book so I can say to everyone to read the book.” It really was 25 years of my work baked down into what the methodology was, in case I got run over by a bus. I figured it was a good idea to get the book out there. I was never quite sure if it would really work, because a lot of my work was one on one, where I was implementing the methodology with people. It was an opportunity and a challenge to see if I could get it in a book. It took four years to write, from the time I pulled the trigger on it to put it on the shelves. Ken Blanchard was in a seminar of mine and he said, “Gee you got about 14 books in here.” I really wanted to make it a whole methodology, and not just part of it. Why do you think the book was so successful and resonated with the business world? I think people were hungry for a model that was hip enough and current enough to deal with the kind of world everyone was in. Most of the other models that had to do with time management or personal organization or any of that all had good stuff, but most of it was way too structured for the speed and volume of change that people were dealing with. I think it hit a nerve out there because it really did work as a methodology. It gave people just enough of structure–but not too much. With the evolution of technology, from the utility of iPhones to the connectedness of social networking, has productivity changed since the book came out? It hasn’t changed much of anything. The only thing I would take out of the book is the word “VCR”–kids don’t know what that is. The methodology is independent of whatever our communication tools are. What’s different these days is how much faster and how much more volume that people need to make decisions about: what it means to them and what they are going to do with it. It makes it that much more critical that you have a systematic approach to how you deal with it. Social media just made it that much more evident that people aren’t clear what it means to them or what they are going to do with it. It’s just another way to be distracted and give yourself a lot more input that you don’t know what to do with. The issues are as old as dirt–it’s the same focus on where you are going and what you are doing, and therefore, how meaningful is all that stuff to read or see. All it’s doing is reflecting back on people whether they are clear on what they are doing. Why did you choose to focus on productivity as your life’s work? I didn’t go out to try to create a business or create something that no one else has done. I needed it myself. I thought everybody else had figured this stuff out. It was mostly for my own curiosity and exploration of it. And after lots of different professions, I figured consulting was what I like to do. I like to go in and look around and see how to improve things, and be able to help people get things done with less psychic and physical effort. That’s seemed to be something I was pretty good at. But again, I was not aware how unique it was, what I had researched and cobbled together until over time it became pretty evident that no one else seemed to have a model like that. How has your writing process changed from Getting Things Done to writing Making It All Work? It got a little bit easier. One of the first things when I wrote Getting Things Done, Viking actually had a couple of line edits. I didn’t know what a line editor was or what they did and I was afraid I was going to lose my voice or change the meaning of something. As it turns out, line editing was fabulous and they made it a lot cleaner and crisper, in terms of the writing itself. It’s kind of like the text took a shower. I would write a sentence of 35 words and they pared it down to 22 and it sounded better. So what I did when I got the line edits, I actually inserted all the edits myself back into the manuscript, so I can learn how a line editor thought. And that was genuinely useful, had a little bit of self-training there on how to be a bit crisper and more succinct. Ready For Anything was really not that hard. I was blogging before it was called blogging and a lot of it was essays I had wrote. We actually had a ghost editor who did all the heavy lifting of going through a lot of essays I had written and finding some themes in there. So that was pretty easy–a lot of that writing had already been done and it was just a matter of editing and formatting. And the last one was also interesting because it was about how you take Getting Things Done wider and deeper. Making It All Work was another major work for me in that regard. What makes a good business book? If it helps your business. If you can do business better, something there that is worthwhile and useful. I think a combination of underlying principles and practical applications. What are your three favorite business books, and why? That’s a flavor of the month thing. Out of all of them, I don’t know if any of them would really rise to the top ahead of everything else. If it is something very applicable to what I am doing and what I am involved in then it rings my bell. Lately, Dan Pink‘s book Drive is great. I think Les McKeown’s Predictable Success was cool. Bo Burlingham’s Small Giants was great, but that was back some time. Doug Tatum’s No Man’s Land was very useful, but that it had a lot of applicability to my own business, where I was at the time. And I am a big Drucker fan. Read more from Getting Things Done and our Leadership Hall of Fame. 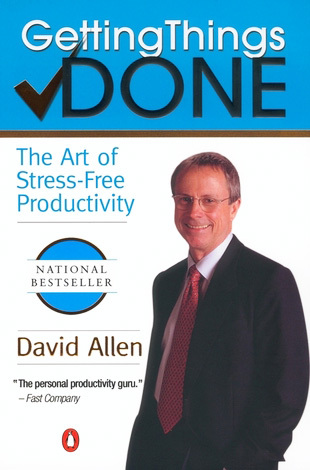 David Allen is the author of Getting Things Done: The Art of Stress-Free Productivity, published by Penguin. His work has also been published by Kill Screen, Tom's Guide, Tech Times, MTV Geek, GameSpot, Gamasutra, Laptop Mag, Co.Create, and Co.Labs. Focusing on the creativity and business of gaming, he is always up for a good interview or an intriguing feature.